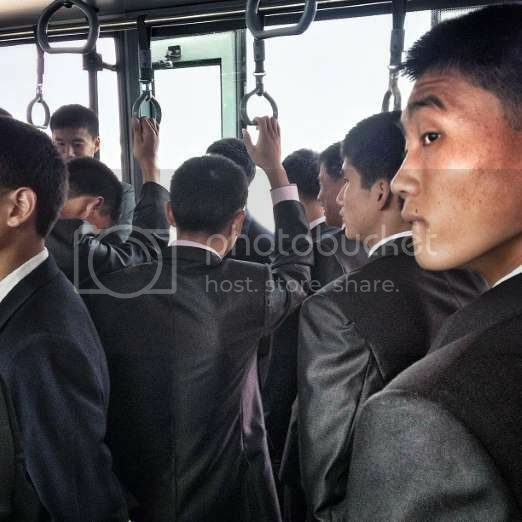 Slick-dressed North Koreans - Soviet-Empire.com U.S.S.R.
98% of Filipinos cannot afford coats and ties. The crisis of overproduction. Why does clothing cover 1% of GDP in capitalist countries when only a mere handful can afford the dresses and men's clothings at shopping malls. 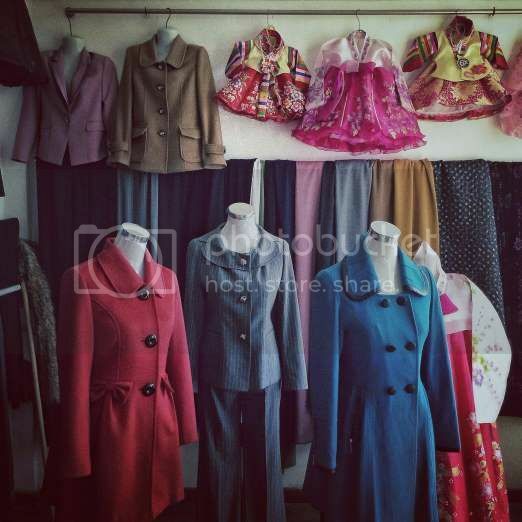 North Koreans are well-dressed and look at the excess clothings it had which means that clothing is not a problem in the country. Three photos are not representative of an entire country. Yes but not the same way as American visitors portray North Korea by showing depressing pictures like isolated cases of 'poverty' when the child photographed had cancer, wasted and was losing weight because of his illness. 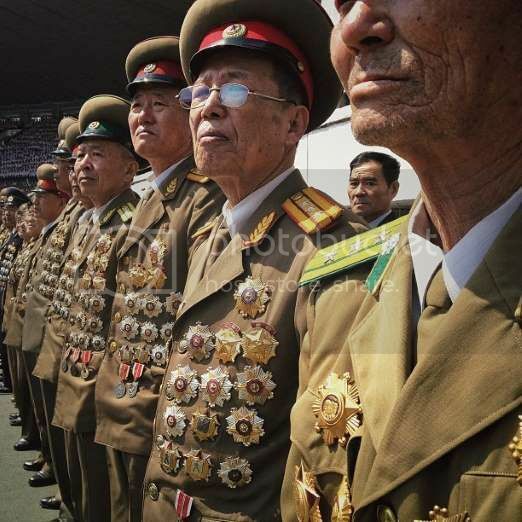 That's a sweet array of medals for a country that hasn't been in a conflict in 65 years. Also, those clothes look chintzy, cheap, militarist, and even sexist, all at once. Quite an accomplishment. I'm pretty sure they're Korean War veterans. There are domestic conflicts that bestowed the medals on them. Busting subversive dissidents unworthy of healthcare and other welfare subsidies. Subversion in the South is punishable by death too. Do you know that defectors who go to South Korea have hard times making both ends meet. Well, good for them. Where else can you find a paradise where you just have to work 7 hours a day, buy your groceries on their wet markets for 30 minutes, go home and cook and enjoy the entertainment and soap operas on TV. Plus the fact that there might be demotions but nobody gets fired in North Korea. There are domestic conflicts that bestowed the medals on them. Medals for killing your own people? Busting subversive dissidents unworthy of healthcare and other welfare subsidies. Do you know that defectors who go to South Korea have hard times making both ends meet. Unlike the North Koreans, who are so rich they have to periodically ask the UN for food handouts. Plus the fact that there might be demotions but nobody gets fired in North Korea. I'd rather be fired than sent to a prison camp or starve to death. Logic or mathematical logic equates that if North Korea has resources to send a satellite in space, much more has she resources for food, housing, transportation, defense, education, leisure and the like. Why would I spend on extra-curriculars if my people are starving. They must be eating 4 to 7 times a day. Average life span of a North Korean is 82. Ask any doctor how one can reach that age if she or he is malnourished or experiencing famine. UN Nations dole outs are free. I would accept them too if given to me. They will make my soldiers bulkier and stronger. Remember, North Korea swapped her missiles with UN dole outs. How good and holy is Kim Jong Un!! Last edited by lev on 08 Feb 2016, 23:42, edited 5 times in total. Average life span of a North Korean is 82. Ask any doctor how one can reach that age if she or he is malnourished or experiencing famine. I don't know on what drugs you're on, but not all countries have life expectancies of 82 - you claimed that for USSR the other day. I think you should also ask ANY doctor to have a look at your mental state, buddy. Kim Il Sung died at 82 and he has the kind of health care which the Kims share in common with ordinary North Koreans. I can never be swayed Edvard. I had lived in the Soviet Union for years and everything was well provided for. Clothes, food, transportation, housing, education, health care, nurseries, libraries, leisure and entertainment etc. I can even afford to watch ballet, opera, movies and theater every day. BUT OF COURSE, THE CIA WOULD PUT IN A BIASED ESTIMATE! HOW WOULD CIA KNOW WHEN ANY AMERICAN SPY WHO TRAVELS TO NORTH KOREA IS JAILED FOR ESPIONAGE AND IS NOT ALLOWED TO COMMUNICATE WITH THE OUTSIDE WORLD . Here, go figure if North Koreans are starving. gBrian, why did you mute yourself. Is your code name in NSA decrypts [shorts]. No bull! I know everything. I got no issues with Kim Jong Un. But this man is posing as a "CSE" and attempted to 'false flag me' with their (Matt, Ryan, Brian) "Conservative ties". Unable to control their animosity with the CEO, they taunted me with "I am Left". So? I am Left too. Pardon me, but they are going to have me fired for being communist because of unrequited love of a homosexual to a heterosexual ! Exposes are allowed in here, aren't they? "Yes, I am a North Korean spy"- BrianK. 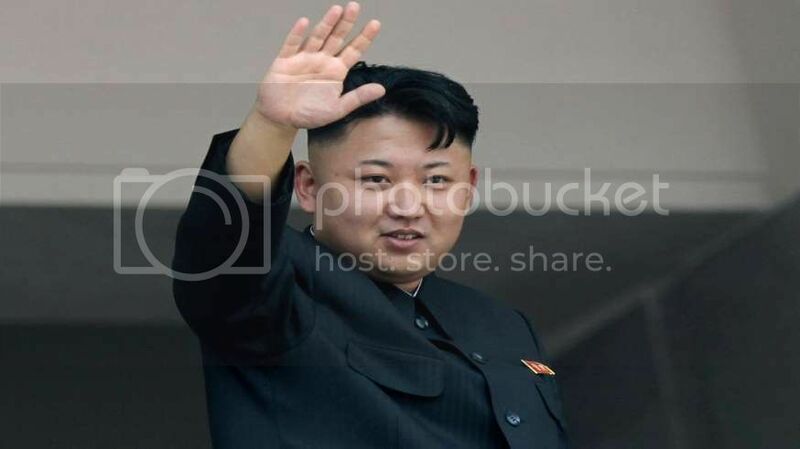 Here is Kim Jong Un's coded message to me which nobody in our workplace knew or anticipated. It means confirmed. "Brian Kwon is a North Korean spy and he is lusting for me". From the Great Leader himself. I don't care if one is a spy or not. Just do not hit on me nor stalk me in this forum. Kim Jong Un sacrificed one of his spies because he cannot afford to lose me. A jerk who is half-hearted in defending Kim but benefits dearly because of the homosexual escapades he experiences because of Kim. Political prostitution is a must when you are on the verge of 'dying'. "They (evil) are seeking death"- Bible. "Just one press of the button and it will all be over for me...."- lev in Al Qaeda website. Kim Il Sung died at 82 and he has the kind of health care which the Kims share in common with ordinary North Koreans. If a fat pig who ran the country died at 82 and was better taken care of than ANY other human being in that country, rest assured that no one else - let alone an entire nation - could come close to his dying age. It's like claiming that Japanese life expectancy is 117 years old because the oldest person in Japan died at that age. Get some common sense, buddy, not everyone on this forum is a greenpea and wanna-be communist just because it sounds cool. I see no argument which supports your claim that north koreans' life expectancy is 80+ years.